Picking up literally in the same scene that the last film ended the Muppets soon realise that the cameras aren’t going away, which can mean only one thing, the comeback was a success so they’re getting a sequel. Now that the Muppets have shown they can bring in an audience, both in the film and in real life, they have to decide what to do now. After a short struggle to find a plot for the sequel their new manager Dominic Badguy, played by Ricky Gervais, suggests a world tour. Unbeknownst to the group he makes one alteration to the cast, switching out Kermit with lookalike Constantine who is the world’s most danger frog and most wanted criminal. Will the group notice in time or will they end up taking the fall for Constantine’s crimes? 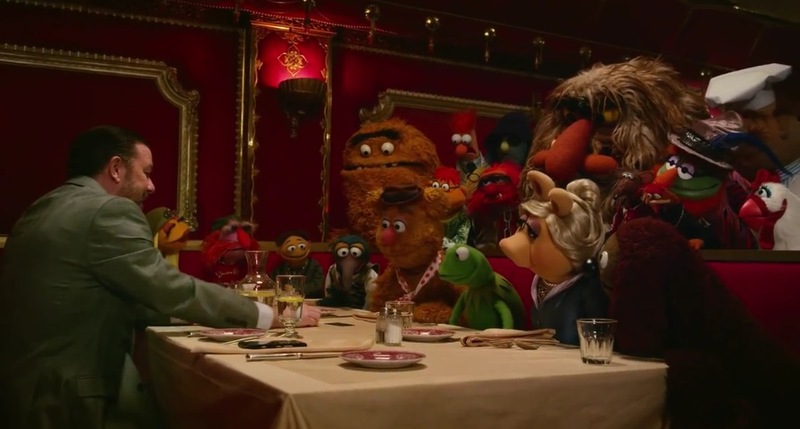 Like the film before it, Muppets Most Wanted is full of cheery songs, funny jokes and a whole load of cameos, with some a-list stars playing roles that would normally go to extras. While Ricky Gervais tries to fill the much needed human role, he is arguably overshadowed by Ty Burrell, from Modern Family, who plays an Interpol agent that teams up with, classic Muppets character, Sam the Eagle to solve a string of seemingly random international robberies. The pair don’t exactly share the same work ethic, which makes for some funny situations as they work through the case together. Burrell’s character is reminiscent of inspector Clouseau from the Pink Panther films, while Sam is much more serious. 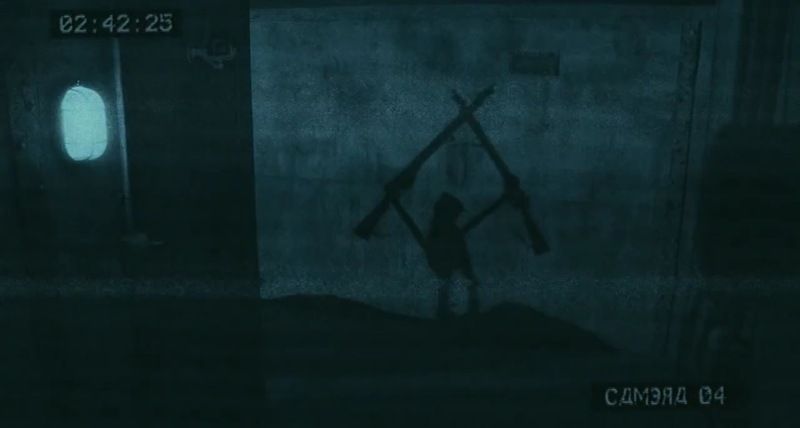 While Constantine attempts to blend in with the Muppets, Kermit adjusts to life in a Russian prison run by Tina Fey. Interestingly, Kermit manages to fit in better with the inmates of the prison than Constantine does with the Muppets, plus the prisoners notice the swap nearly immediately which says a lot about the brain power of the Muppets as a collective. 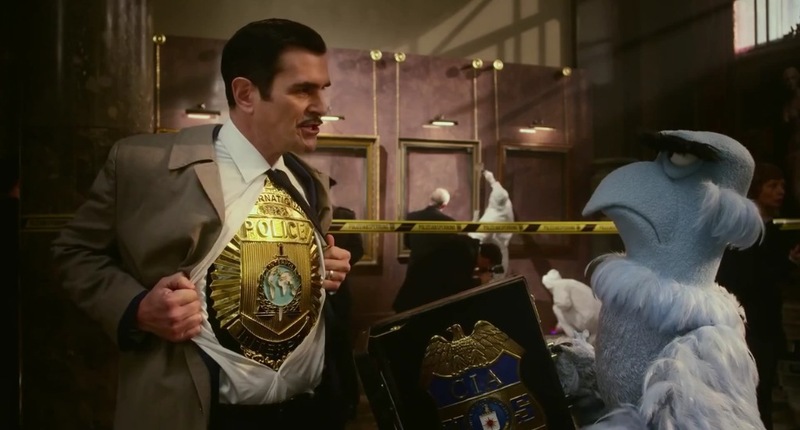 Though the opening number highlights the fact that the sequel never truly lives up to the original, Muppets most wanted is a fun feel good movie with plenty of laughs. Are you a Muppets fan? Which character is your favourite? Can you think of any sequels that lived up to the originals? Leave your thoughts in the comments below. This entry was posted on March 12, 2014 by adamodwyer1. It was filed under Adventure, Comedy and was tagged with most, movie, muppets, review, wanted.